Testosterone therapy is FDA-approved for treatment of hypogonadism and other diseases involving the testes or the pituitary and hypothalamus glands. The FDA has not approved the drug for an age-related decline in testosterone levels, the “Low T” number you have probably heard so much about in TV and radio ads. In fact, a number of studies have detailed a significant increase in risk for heart attacks and strokes arising from Low T treatment, especially among older men who may already have conditions. With each passing day, new concerns are raised as more studies are conducted and their results revealed. The prestigious Journal of the American Medical Association (JAMA) published the results of a study last November. This national study, conducted with the U.S. Department of Veterans Affairs (the VA), looked at men over a six-period who took testosterone therapy. All the men in the study had low testosterone levels and some indication they may be at risk for heart problems. The results of the study, published in JAMA on November 6th, showed a 30% increased risk for heart attack, stroke and death. Even before the JAMA study, a group of researchers at Boston University had been conducting a clinical trial to study the safety and effectiveness of testosterone gel. This trial was stopped early after a high rate of heart attacks and other cardiovascular incidents were encountered by study participants using the gel. These results were published in the prominent New England Journal of Medicine and were an early warning sign about the potential cardiac dangers of testosterone therapy. The U.S. Food and Drug Administration (FDA) had already by that time required a boxed warning to be placed on the packaging for two testosterone gels on the market – AndroGel 1% and Testim 1%. Last April a group of researchers from the Schools of Public Health at the University of Hong Kong and CUNY Hunter College in New York conducted a systematic review and meta-analysis of placebo-controlled, randomized trials of testosterone therapy. This analysis found a clear overall increased risk of cardiovascular events linked to testosterone therapy, even among studies funded by the pharmaceutical industry, which not surprisingly downplayed the risk compared to other studies. In January of this year, the esteemed medical journal PLOS ONE reported that the risk of myocardial infarction (heart attack) from testosterone use is not just higher for older men but also for younger men taking Low-T treatment. The evidence and concerns continue to mount. In February, the Endocrine Society issued a warning to its members and a call for more careful study of the issue. And on January 31st, the FDA released a Safety Announcement making it known that they are now investigating the risk of heart attack, stroke and death from FDA-approved testosterone products. While the FDA does not recommend that you stop any treatment you are currently taking without first talking to your doctor, the agency does urge doctors to carefully consider the risks and benefits of testosterone treatment before recommending it to their patients. Make sure you talk to a qualified doctor whom you trust before embarking on a course of testosterone therapy. 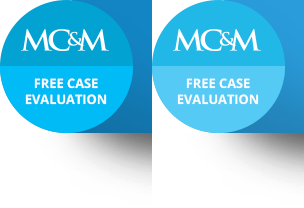 If you previously took testosterone or are currently undergoing Testosterone Replacement Therapy or Low-T treatment and suffer any type of cardiac event, contact Magaña, Cathcart & McCarthy for a free consultation with a qualified attorney. Our experienced pharmaceutical products liability lawyers can help determine whether you may be entitled to compensation for any harm the drug has caused.